Havelock House is accessed from Baxter St. Traveling along High St from Melbourne, turn left at Baxter Street. From Echuca, turn right at Baxter St. then Right at Havelock Street and Havelock House is number 7 Havelock Street, just around the corner to the right, 3rd house on the left. A few minutes stroll either taking in the Elm lined streets or through beautiful Rosalind Park and past the conservatory takes you to the Bendigo CBD and to many of the city's wonderful attractions: Ulumbarra Theatre Bendigo Art GalleryAntique ShopsRestaurantsMajor Sporting Facilities including the QEO, the Tom Flood Sports Centre, the Tennis Courts and the Aquatic Centre are all within an easy walk. Enjoy an early morning stroll to Lake Weeroona and coffee or brunch at the Boardwalk Cafe. Bendigo Base Hospital, Radiotherapy Unit and Anne Caudle Centre are also within easy walking distance for medical students or for a stay for hospital outpatients.Stay with us while researching the Bendigo real estate market, we offer friendly country accommodation. All properties are fully self contained. Havelock House offers guests an atmosphere of old world charm with the luxuries of today. 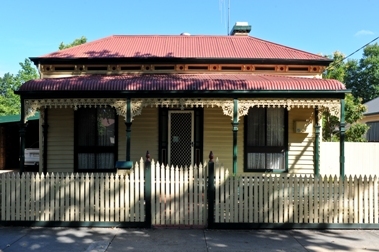 spacious bedrooms, TV , DVD and off street parking add comfort and convenience.Full privacy in a quiet central location within a short walk of the city area and tourist attractions ensures an unforgettable stay in the historic heart of Bendigo. Fabulous location for discovering the secrets of Bendigo.All linen, crockery and cutlery is provided, and the fully equipped kitchen and laundry facilities are ideal for longer stays, with servicing as required. Accommodates up to 6 people in two bedrooms with queen size beds, and one twin share room.BBQ facilities are provided for relaxation in a private garden with delightful cottage ambience. Easy walk to the lake for that brisk wake up walk followed by a glorious coffee. SHORT TERM RENTALS AVAILABLE NOW. Typical of the early homes of historic Bendigo, Havelock House was built around the turn of the last century and has been fully renovated to offer its guests an atmosphere of old world charm with the luxuries of today. 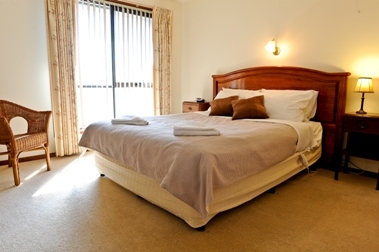 Havelock House accommodates up to 6 people in two bedrooms with queen size beds, and one twin share room. BBQ facilities are provided for relaxation in a private garden. Full privacy in a quiet central location within a short walk of the city area and tourist attractions ensures an unforgettable stay in the heart of Bendigo. Comfortable two bedroom Fully self contained apartment. 1QS with large ensuite 1 twin share single with ensuite. Fold out double in lounge if required (please advise prior to arrival) . Located within easy distance of La Trobe University and Bendigo CBD. corporate mid week or extended stays welcome. A favourite with International Students .. Cancellations received at any time will incur an administration fee from the Bendigo Visitor Centre of $27.50.Some helpful points when booking. Three-night minimum bookings are required over Christmas and Easter holiday periods and 2 night minimums on special event weekends. Due to our intimate size cancellations do affect us greatly. If you find it necessary to cancel your reservation cancellations notified more than 30 days prior to the first date booked receive a full refund of monies paid. Cancellations notified between 30 and 14 days prior to arrival forfeit the tarrif for the first night. Full payment will be required if less than 14 days notice of cancellation is given. A refund will be made if the property can be re booked. 14 days notice is required of a reduction in the number of nights booked or the tariff for the full period is payable. Any refunds are less administration fees and charges. All bookings accepted are subject to an accidental / willful damages policy a no smoking policy and an excess cleaning policy. Please do not leave dishes for cleaner. A $25.00 cleaning fee will apply. Where the individual causes interruption to business or unreasonable delay and expense in business operations the responsible guest will be charged accordingly. Please respect the amenity of neighbours. The footpath is not to be used as entertainment space. Noise to be kept to "quite" level after 10 pm.